The Illinois Supreme Court has appointed Diann K. Marsalek to the countywide vacancy created by the retirement of Judge Margaret O'Mara Frossard. The appointment is effective Monday, October 3, and will terminate December 3, 2012. Marsalek was a candidate for the countywide Bronstein vacancy in the 2010 primary. 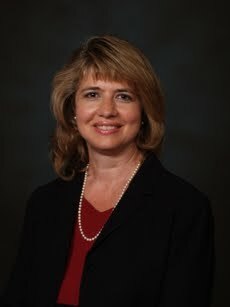 She ran in the 8th Subcircuit in 1994 and 1996 and was a finalist for Associate Judge in February 2007 and August 2008. Prior to this appointment, Marsalek had declared her intention to seek the Cole vacancy in the 8th Subcircuit in the upcoming primary. Per email received, a fundraiser will be held tomorrow, September 27, from 5:00 to 7:00pm, at the at the Akainyah Gallery, 357 West Erie St., to launch the election bid of First District Appellate Court Justice Nathaniel R. Howse, Jr.
Tickets to the event cost $150, but sponsorship opportunities are available. To reserve tickets, or for more information, contact Monica Heth at (312) 496-3647. Justice Howse was appointed to the Appellate Court by the Illinois Supreme Court in 2009. 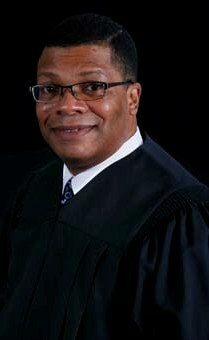 A campaign website has been established for Justice Howse at www.electjusticehowse.com. Per email received, Pamela McLean Meyerson will seek election to the Cook County Circuit Court in the March 2012 Primary. A campaign website has been launched in support of this endeavor. That's a link to the site in the preceding sentence; a link has also been added to the sidebar. Meyerson is circulating petitions to run from the 11th Subcircuit (where there are two current vacancies) and also to run for one of the 10 countywide vacancies. She ran from the 11th Subcircuit in 2010. Currently a solo practitioner with offices in Oak Park, Meyerson is a 1983 graduate of the University of Chicago Law School. The 'crushing burden' of regulation illustrated? In times gone by, persons of good will in of both parties fretted publicly about unnecessary regulation (not that there was ever great agreement, even in carefree days of yore, about which regulations were unnecessary). Today, though, fear and loathing of the Federal Register (or, locally, the Illinois Register) seems pretty much confined to the Red Meat Right. When the Red Meat Right shouts at the True Blue Believers over the Cultural Divide, the phrase 'crushing burden of regulation' is often used. But most people don't experience regulation directly. The 'do not remove' tag on a mattress imposes no 'crushing burden' on the body politic. A great many talking heads insist that We the People pay a high price for regulation, but most non-political folks are far more concerned that the government continues to look out for the safety of the meat and vegetables on the dinner table than they are with the details concerning how that safety is assured. Jerry Crimmins' September 20 story in the Chicago Daily Law Bulletin (subscription required) provides a real-life illustration of how confusing (and therefore burdensome) regulations can be. Crimmins reported that the State of Illinois has selected Mayer, Brown LLP as its exclusive "bond counsel/disclosure counsel" for the next two years. Mayer, Brown beat out 16 other firms for the business, the article notes. Using a single firm is expected to result in some financial savings, an important consideration in these tough times. But, according to the article, that wasn't the primary explanation for the switch. And it is the primary explanation as to why the State felt the need to appoint only one firm for this purpose that illustrates the potential 'crushing burden' of regulation. But "we weren't getting consistent advice on what we needed to disclose and how to disclose it," Sinsheimer said, "because we kept switching law firms. Each law firm would have a different interpretation of what the regulations meant." Imagine: Twenty different law firms, each with its own different opinion about what might be required to keep the State in compliance. And the State has reason to worry about staying in compliance with regulations just as much as any other person or business. Last year, the SEC charged New Jersey with securities fraud for failing to disclose to investors in municipal bond offerings that New Jersey was underfunding the state's two largest pension plans. In 2008, the SEC filed securities fraud charges against five former San Diego city officials who the SEC said "played key roles in the city's inadequate municipal securities disclosures in 2002 and 2003." That scandal, too, involved underfunded pension obligations. And in January, according to the Wall Street Journal, Illinois officials said that the SEC had launched an inquiry into public statements by Illinois officials about the state's underfunded pension plan. Crimmins quotes Robert Dean Pope, an expert on municipal bond issues for the law firm of Hunton & Williams LLP in Richmond, Virginia, as saying, "Recent enforcement actions by the SEC against the state of New Jersey suggest that large political subdivisions need to be very careful in producing good disclosure, especially on financial health and pension matters." Here is an illustration of a sound general principle -- but where the specific application of that general principle may be open to question. It seems to me that a regulatory scheme designed to protect the investing public (and in the case of municipal bond issues, the taxpaying public) from fraud and misrepresentation is, in general, a Good Thing. On the other hand, if 20 different law firms, all practicing in the area, really do have significantly differing opinions about how to stay on the right side of those regulations, then maybe the specific regulations are too complex... and burdensome. Distinguishing between useful regulations and those which are needlessly burdensome or confusing is undoubtedly far more difficult than shouting slogans -- but isn't that one of the things we pay our elected officials to do? The Illinois Supreme Court announced today that it has appointed Cynthia Y. Cobbs to the countywide vacancy on the Cook County Circuit Court created by the retirement of Vacancy of Judge Henry R. Simmons, Jr.
Cobbs was serving as Director of the Administrative Office of the Illinois Courts at the time of her appointment. The Supreme Court's announcement today notes that Cobbs "was the first woman and the first African American to serve as Administrative Director and her tenure as Director is the second longest since the position was established in 1960." Cobbs received her law degree from IIT—Chicago Kent College of Law in 1988. The Supreme Court's announcement today says that Cobbs "holds a Master of Social Work degree from the University of Maryland and worked for several years in Maryland in a clinical setting helping abused and neglected children. She earned her baccalaureate degree from Morgan State University in 1972." Cobbs started her legal career in 1989 as a law clerk, and later chief law clerk, to Supreme Court Justice Charles E. Freeman. She joined the AOIC in 1997, becoming Chief Legal Counsel for the Administrative Office within two years. Cobbs was initially appointed Director of the AOIC in March 2002. She has served under five Chief Justices. Cobbs' judicial appointment is effective tomorrow, September 23, and terminates December 3, 2012. Michael J. Tardy, executive assistant under Ms. Cobbs, will become Acting Director of the Administrative Office, effective immediately. A campaign website has been established for Judge Lionel Jean-Baptiste. That's a link to the site in the preceding sentence; a link has also been added to the sidebar. Judge Jean-Baptiste was appointed to the Bender vacancy in the 9th Judicial Subcircuit earlier this year. At the time of his appointment, Jean-Baptiste was serving as an alderman in the City of Evanston. I am proud to endorse my good friend Judge Lionel Jean-Baptiste. He has a lifetime of experience serving the community and protecting families. I have seen Lionel’s work firsthand over the years, and know that he has all the qualities we need in a Judge. Please join me in voting for Judge Lionel Jean-Baptiste in the Democratic Primary! Jean-Baptiste's campaign also has a Facebook page. Criminal defense attorney Denise Marie Nalley, a former Cook County prosecutor, has announced that she will run for judge in 2012. Nalley's campaign website is up and running. That's a link to the site in the preceding sentence; a link has been added to the sidebar. A fundraiser in support of Nalley's bench bid has been scheduled for September 27 at Rosebud Prime, One South Dearborn Street, from 5:30 to 7:30 pm. Tickets for the event are scaled from $100 to $1,000. For additional information, email NalleyforJudge@gmail.com. Nalley has been licensed as an attorney in Illinois since 1993. Her website notes that she was a founding member of the Women's Criminal Defense Bar. Cook County Associate Judge Mathias W. Delort has announced that he is seeking the endorsement of the Cook County Democratic Party for one of the five available Appellate Court vacancies or one of the ten available countywide Circuit Court vacancies. Delort was appointed as an Associate Judge in 2007, having worked for 20 years previously as an attorney concentrating in local government, school, election and appellate law. Currently assigned to the Chancery Division, Mortgage Foreclosure/ Mechanics Lien Section, Judge Delort is the editor-in-chief of the IICLE Election Law Handbook and recently authored the Cook County Mortgage Foreclosure Bench Book. The Chicago Bar Association recently gave Delort a rating of "Highly Qualified" (the highest rating possible, and one that is only rarely conferred) for both the circuit and appellate judge positions. The CBA said that "Judge Delort is well regarded for his knowledge of the law, work ethic, and dedication to improving the justice system." As a practicing attorney, Delort represented virtually half of the sitting ward and township committeemen. Delort indicated that his many friends and former clients on the Cook County Democratic Central Committee are pledging strong support for his upcoming bid. Delort also served for 20 years as the election attorney for now-Governor Patrick Quinn and now-President Toni Preckwinkle. Per email received from Dawn Gonzalez, a buffet luncheon fundraiser for Judge Helaine L. Berger has been scheduled for Thursday, September 22, from noon to 2:00pm, at Tavern at the Park, 130 E. Randolph. For more information contact Beth Casey (Assistant to Lynn Weisberg) at bcasey@gkwwlaw.com or by calling (312) 362-0000, ext. 208. Judge Berger is a candidate for the Cole vacancy in Cook County's 8th Judicial Subcircuit. Alert readers are keeping me on my toes. I recently put up a post (with the catchy title "In defense of the Supreme Court's recent practice of recalling appointed judges who've lost in a primary election"), in which I made the assertion that, as far as I knew, "no one has been appointed to the bench by the Supreme Court recently except men and women who have received unanimous approval from the evaluating bar groups, including the Chicago Council of Lawyers." Not so fast, one reader said. The reader was certain that at least one judge who had not been unanimously approved by all the bar associations at the time of appointment. I was encouraged to go back and look. Not so fast, another reader said. In an email today, this reader said that Judge Leeming currently holds a "Qualified" rating from the Council. I was encouraged to investigate. Diann K. Marsalek, who ran for the countywide Bronstein vacancy in 2010, has announced her intention to seek the Cole vacancy in the 8th Subcircuit. A website has been established for her 2012 campaign. That's a link to the site in the preceding sentence; a link has also been added to the sidebar. Marsalek discussed her candidacy recently with Avy Meyers on North Town News Magazine. The interview airs on local cable systems between September 27 and October 3 but, with Mr. Meyers' permission, it is posted here now. In addition to her countywide bid in 2010, Marsalek ran in the 8th Subcircuit in 1994 and 1996. 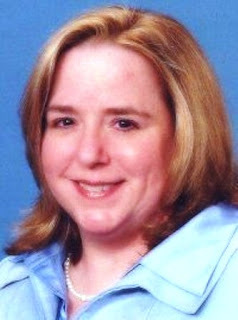 She was a finalist for Associate Judge in February 2007 and August 2008. Per email received, a fundraiser has been scheduled to support Judge Kevin W. Horan's election bid on Friday, September 23, from 5:30 to 9:00pm, at Park Place of Countryside, 6240 Joliet Road (across from the William Tell Holiday Inn). Individual tickets are priced at $75. Additional levels of support are available. For additional information, call (708) 466-0509. 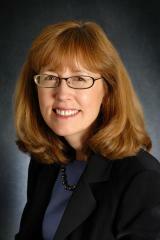 Horan was appointed by the Illinois Supreme Court to the Riley vacancy in Cook County's 4th Judicial Subcircuit. 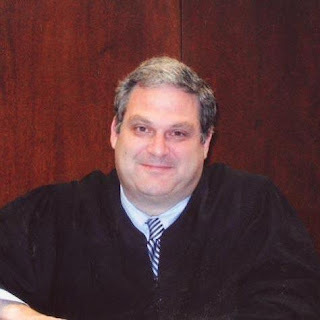 Eighth Subcircuit Judge James Kaplan is one of Avy Meyers' guests on this week's edition of North Town News Magazine. With Mr. Meyers' permission, that interview is posted below. Also on NTNM this week are PR man Ed McElroy and Cyndee Schaffer, one of the authors of Mollie's War, the letters of a WAC (Cyndee's mother, Mollie Weinstein Schaffer) who served in World War II. NTNM airs on CAN TV, Chicago Cable Channel 19, on Thursday, September 15 at 7:30pm (rebroadcast on Friday, September 16 at 2:30pm) and on ECTV 6 on the Evanston cable system, tonight at 10:00pm, with a rebroadcast Thursday, September 15 at 8:00pm. Associate Judge Larry Axelrood has announced his intention to seek election as a full Circuit Court Judge from the 9th Subcircuit. A campaign website has been established to support Judge Axelrood's candidacy. That's a link to the site in the preceding sentence; a link has also been added to the Sidebar. Judge Axelrood is currently assigned to the Second Municipal District working at the Skokie Courthouse. There have been a number of times since I've started covering judicial races on this blog where I've found a website for a judicial candidate that was still under construction. I don't put these up. I wait, or I have waited, until the site is done before posting the links. My streak was broken this morning, however, when I posted the links to the campaign website for Judge Alfred M. Swanson, Jr. Apparently, the site was only in draft -- because, by this afternoon, the site was down, giving visitors only an "under construction" message. I apologize for posting prematurely. The link has been removed for now, but will be restored when Judge Swanson's campaign says the site is complete. The Wilmette-Kenilworth Patch reports this week that Abbey Fishman Romanek is making another bid for a 9th Subcircuit Judicial seat. Romanek ran for the Otaka vacancy in the 9th Subcircuit in 2010, losing by only a handful of votes to Judge Geary M. Kull. Romanek's 2012 campaign website is up and running. That's a link to the site in the preceding sentence; a link has also been added to the Sidebar. According to Andrea Hart's Patch article, Romanek's 2012 bid has already been "endorsed by Rep. Jan Schakowsky (D-IL), and state representatives Robyn Gabel (D-Evanston) and Daniel Biss (D-Evanston), as well as others." The reader's email suggested I take another look at the recently-appointed-then-recalled judges. And so you have the setup for this post. The Tribune article that triggered this discussion ("State high court overrules voters on judge picks," August 26) singled out four full circuit judges recalled in 2009 who'd lost their 2008 primary bids, viz., "Martin Coghlan, the uncle of two other county judges; Lauretta Higgins Wolfson, the wife of a former appellate court judge; James Shapiro, who has contributed to Democratic campaigns; and Kenneth Fletcher." For the 2008 primary, Judge Martin Coghlan was rated qualified by the Chicago Bar Association (CBA) and all of the Alliance bar associations that evaluated his candidacy, including the Chicago Council of Lawyers (CCL). (Neither the Black Women Lawyers’ Association of Greater Chicago nor the Hellenic Bar Association evaluated Coghlan in 2008.) Judge Lauretta Higgins Wolfson was rated qualified by the CBA and all Alliance bar associations, including the CCL. In the 2008 primary, Judge Higgins was also endorsed by the Cook County Democratic Party; the Fraternal Order of Police, Chicago Lodge No. 7; the Chicago Fire Fighters Union, Local 2; the Chicago Federation of Labor; and the Italian American Political Coalition. Judge James Shapiro (who has already announced plans to seek election from an 8th Subcircuit seat in the 2012 primary) was rated qualified by the CBA all of the Alliance bar associations, including the CCL, in the 2008 primary. Shapiro was also rated "highly recommended" by the Northwest Suburban Bar Association (NWSBA) (not an Alliance member) in 2008 and endorsed by the Chicago Federation of Labor; the Chicago Fire Fighters Union, Local 2; the IVI-IPO; the Northeastern Illinois Chapter of the Americans for Democratic Action; Personal PAC; the Jewish Political Alliance of Illinois; and the Illinois Committee for Honest Government. 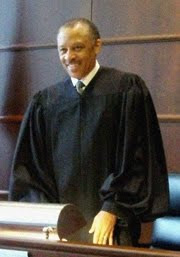 Finally, Judge Kenneth Fletcher was also rated qualified by the CBA and all of the Alliance bar associations, including the CCL for the 2008 primary. Fletcher was also rated qualified by the NWSBA and endorsed by the Chicago Federation of Labor, IVI-IPO, Personal PAC, the Italian American Political Coalition, and the Jewish Political Alliance of Illinois. The Tribune article also mentioned two judges by name who lost primary bids in 2010 and were then recalled to service, Michael Ian Bender and Pamela Leeming. Judge Bender was rated qualified by the CBA and all of the Alliance bar associations, including the CCL, for the 2010 primary. In addition, Bender received endorsements for his unsuccessful 9th Subcircuit primary bid from the Chicago Tribune; the Fraternal Order of Police, Chicago Lodge No. 7; the Chicago Fire Fighters Union, Local 2; the Chicago Federation of Labor; and the Illinois Committee for Honest Government. However, Judge Leeming was not rated qualified by the Chicago Council of Lawyers at the time of the 2010 primary -- but the Council's rating was based on the Council's 2004 associate judge evaluation (which was reviewed in 2009, at the time of her appointment to the bench). In that evaluation, the Council stated, "Ms. Leeming is considered to have good legal ability and temperament. The Council is concerned, however, about the lack of breadth and depth in her legal experience, as well as an absence of sufficient experience in more complex litigation matters." The CBA rated Judge Leeming qualified for the 2010 primary, stating that she had "extensive trial and appellate experience [in the Public Defender's office, where she'd worked since 1990] and is well regarded for her integrity and fine temperament." All of the other Alliance bar associations gave Judge Leeming a rating of recommended or qualified. Of course, today's list only covers those judges who lost primary bids in 2008 or 2010 and who were recalled to service by the Illinois Supreme Court and who had the distinction of being singled out in the recent Tribune article. There may still have been other judges appointed by the Supreme Court since the one incident I remember from 2007 where the initial appointment was opposed by a large number of bar associations -- although I still don't think so. I would submit, however, that this record demonstrates that the Supreme Court has been quite careful, at least in recent years, to 'recall' judges who would generally (if not in every case unanimously, as I had erroneously claimed) meet with the approval of the bar associations, even though the judges in question did not have long experience on the bench before their 'retirements.' It's a moot point now, I suppose, since the Supreme Court has announced it will no longer recall such judges. I will leave it to others to argue whether this move benefits the public.